Funded by Hancock Whitney, the Leo W. Seal Innovative Teacher Grants recognize outstanding educators with grants that help pay for creative and innovative projects that complement curriculums and bring subjects to life for their students. This is the 23rd year that the bank, in partnership with the Gulf Coast Community Foundation (GCCF), has honored teachers with Seal awards. Each winner received a grant of up to $2000 and a crystal award recognizing their achievement. 23rd Annual Recognition Luncheon on April 12, 2019 in Gulfport. Established in 1994, the Leo W. Seal grants recognize and encourage educational excellence by underwriting original classroom teaching initiatives developed by teachers. The awards also commemorate the leadership of Leo W. Seal Sr., Hancock Bank president from 1932 until his death in 1963, and his son, the late Leo W. Seal Jr., Hancock’s chief executive for 45 years, in facilitating countless economic and educational opportunities for the region. 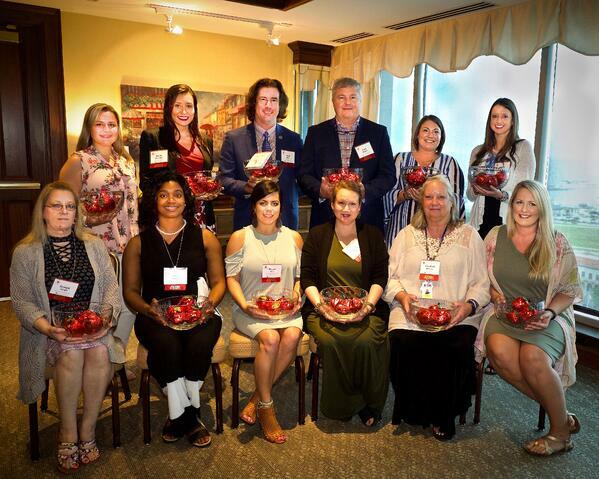 The Gulf Coast Community Foundation manages the endowment as a permanent fund of the GCCF’s Pat Santucci Friends of Public Education program and coordinates the selection of winners. Certified K-12 teachers in the seven Mississippi counties in which Hancock Whitney has financial centers - Forrest, Hancock, Harrison, Jackson, Jefferson Davis, Lamar, and Pearl River - are eligible to apply for the Seal grants each year. It's our privilege to continue to honor the legacy of the Seal family in recognizing and rewarding the exceptional educators we have throughout Mississippi. Hancock Whitney is committed to education and supports teachers who work tirelessly to develop innovative teaching solutions, demonstrate strong leadership and are passionate about the role they play in developing tomorrow’s leaders. Information about the 2019 Seal grant awards application process will be available on GCCF’s website in mid-fall 2019.